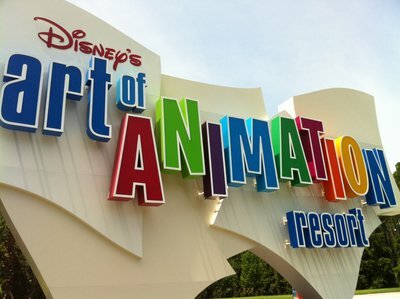 Disney recently opened the first section of their latest Value Resort – Disney’s Art Of Animation Resort. 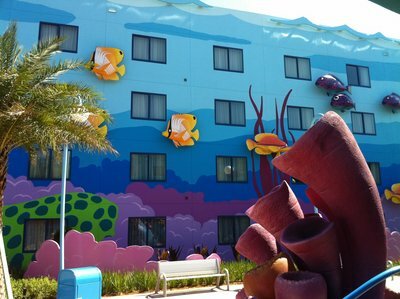 This resort pays tribute to animation and to four specific classic Disney animated films: Cars, The Little Mermaid, The Lion King, and Finding Nemo. 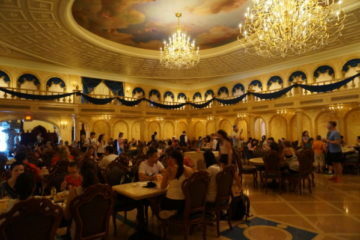 I recently had a chance to take a tour of the resort. It is impressive. 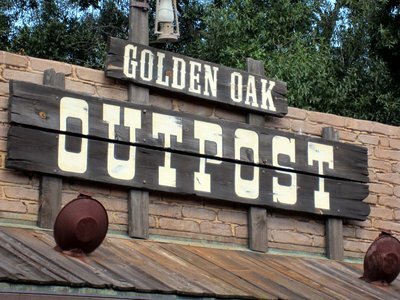 Like many other value resorts, the amenities are more on the basic side – there is no spa, no Disney character dining, and no sit down restaurant. However, that doesn’t mean that resort is cheap or boring. 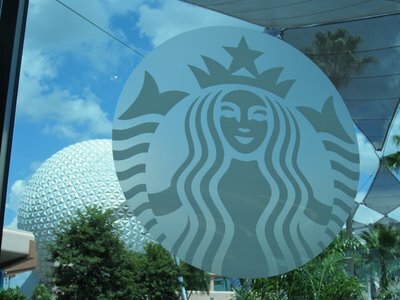 There are plenty of magical Disney touches throughout the resort. It is colorful and fun. 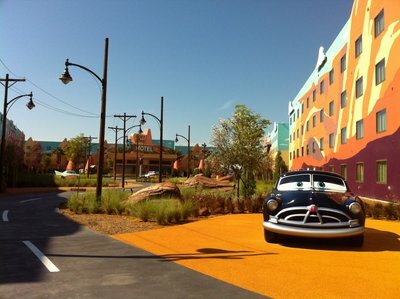 In addition, this resort features family suites, so large families can stay together in a Disney resort for a more affordable price. 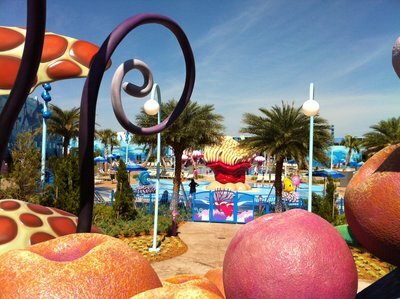 Here is a photo tour of some of the fun parts of the resort. 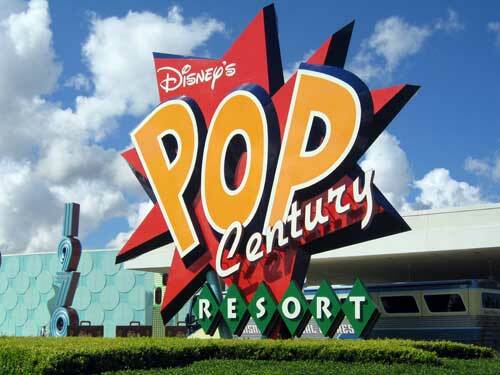 As you approach the resort, you see a colorful entrance sign that tells you this resort is a fun place. 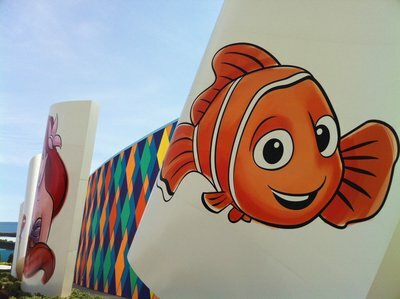 The main building has colorful drawings of popular Disney characters from the featured movies including Cars and Finding Nemo. 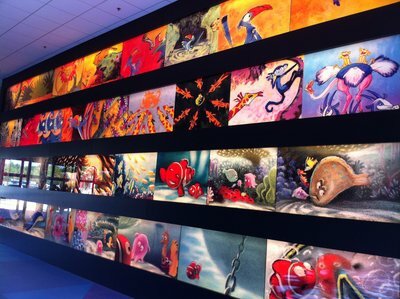 As you enter Animation Hall, the main lobby and services building, get ready to see some great art. 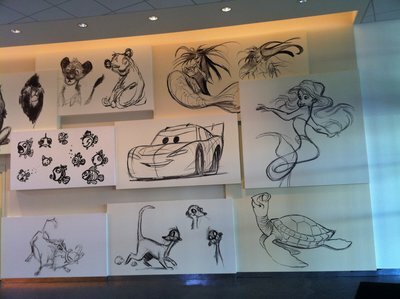 The walls of the check in area are covered with sketches and artwork – some of it never before seen. The check in desks are individual podiums instead of a long desk. 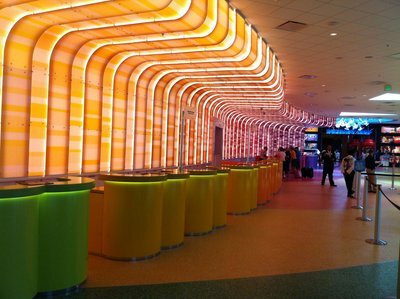 This colorful area makes for more personal interactions. 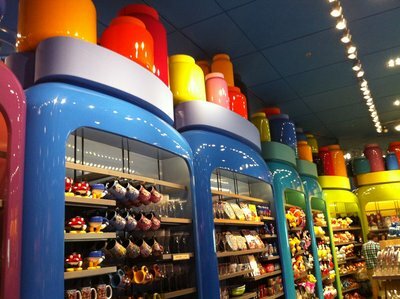 The Ink & Paint Shop is a colorful area full of the usual Disney merchandise, from plush figures to toys to a bit of food and sundries. 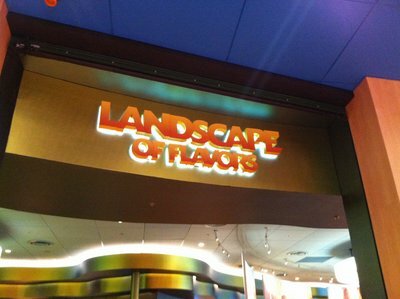 The Landscape Of Flavors food court offers some interesting choices – from gelato to Tandoori Sausage. 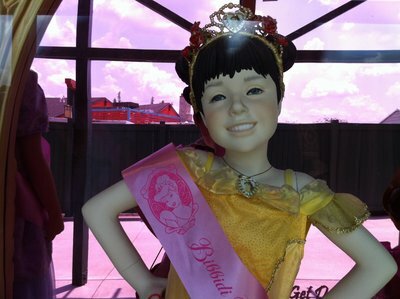 You will also find more traditional offerings. 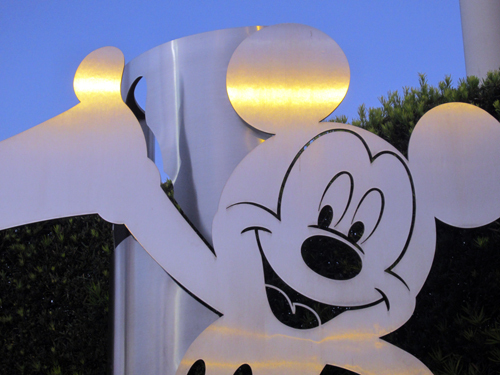 The interior courtyard sides of the buildings contain great three-dimensional characters. 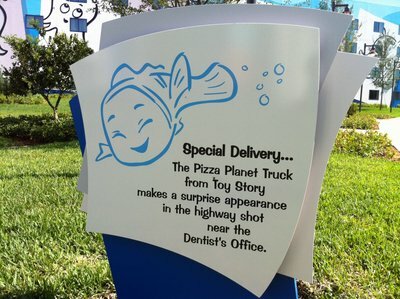 In the Finding Nemo section, everything it made to a scale as if you were a fish in the sea. 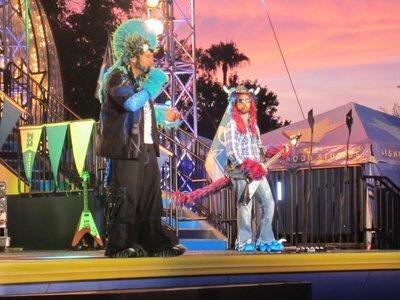 on Disney property and is full of colorful fun. The Cars section looks like a road leading into the desert. 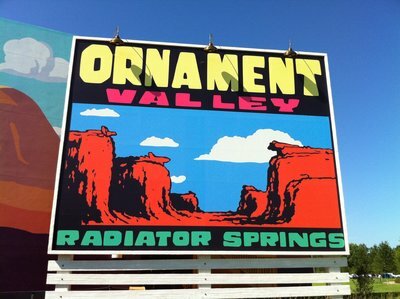 The Cars section also contains huge, colorful billboards. Hourglass Lake have signs with interesting trivia facts.